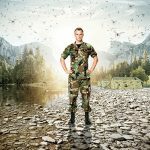 TANATEX Chemicals have turned up the heat with innovative new techniques to spark the way forward in the textile industry with the ultimate sustainable and natural product TANNEX® TERGEO. TANNEX® TERGEO is the third generation clay based scouring & bleaching agent for bleaching of cellulosic fibers and blends. 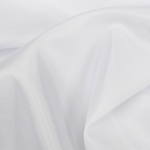 Textile producers that demand top class hydrophilicity can now reach this standard with gentle treatment and a eco-friendly, natural product. TANNEX® TERGEO offers pretreatment performance for H2O2 bleaching that reaches the highest standards by using very gentle treatment. This results in the same or even better degree of optical bright by minimal loss of weight and strength. Also TANNEX® TERGEO offers lubrification and running properties that enable unheard of uniformity of the substrate after bleeching. Clay is a natural product that replaces a significant amount of chemicals. Excavating and processing it costs just a fraction of the energy that’s needed for producing oil-based products. This ensures a very low carbon footprint. TANNEX® TERGEO is a high performance mineral that offers detergency, wetting, sequestering, stabilization and lubrication in one single product. This not only enables right first time and low substrate loss, TANNEX® TERGEO also keeps machines cleaner.